Maryland's Republican Governor Larry Hogan vetoed a paid sick-leave bill that would have been costly and led workers to get pink slips instead of time off. As passed by the legislature, the sick-leave bill would require employers with 15 or more workers to allow employees, who work at least 12 hours a week, to earn up to five days of paid sick leave. Those workers would have to have been on the payroll for at least 106 days. For companies with fewer than 15 employees, the bill would also provide unpaid leave. "If we allowed this legislation to go into effect next January, it would be disastrous to our state economy, and it would make Maryland less competitive in our region," Hogan said at a news conference. "It would kill small businesses and jeopardize thousands of Maryland jobs." “Our administration fully supports paid sick leave benefits for Marylanders, but we cannot and will not support this job-killing bill passed by the legislature, which would hurt the very workers that they are pretending to want to help,” Mr. Hogan said. "He just vetoed sick leave for 700,000 Marylanders who are trying to work their way out of poverty," the Baltimore Democrat said. Both chambers passed the bill, but despite Hogan’s veto, the bill is not dead. The sick-leave bill passed the House and Senate by veto-proof majorities and the legislature, reportedly, plans to overturn the veto when they return in January. Governor Hogan had a competing paid sick-leave bill that called for five days of paid sick leave, but it failed in the legislature. His bill had a higher threshold (companies with 50 employees or more) and incentivized participation with tax credits to employers. It would also only cover employees who worked at least 30 hours a week. Hogan’s bill would have covered 473,000 workers – about 122,000 fewer workers than the House/Senate bill. As the owner of a real-estate company before taking office, Hogan is interested in an approach that covers Maryland workers without placing a burden on businesses. Aside from his stalled bill, Hogan made other moves to push ahead on leave policies including executive orders extending paid sick leave to some state contract employees and giving preference to contracted companies that offer paid sick leave. He also issued an executive order creating a group to study the sick-leave issue. Its findings could inform emergency legislation at the end of the year to replace the legislature’s bill. Sick leave is an important issue that’s gaining national and state-level attention. Maryland would join just a handful of states (California, Connecticut, Massachusetts, Oregon, Vermont, Arizona, and Washington) and the District of Columbia in requiring employers to provide this benefit to its workers. Government-mandated leave programs prevent employers and employees from working out flexible and compassionate leave policies. Workplaces are bound to have a variety of solutions for their workers. 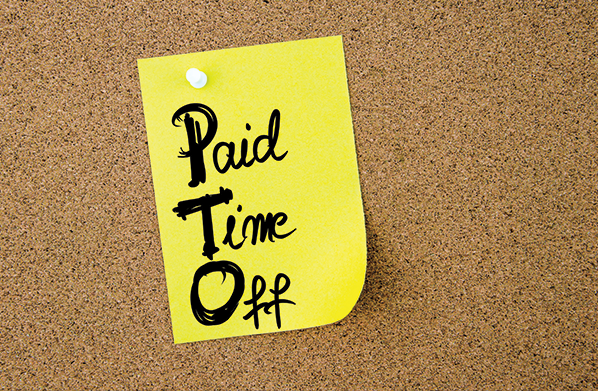 Some businesses are well suited to allow workers in need of time off to scale back or work from home. In those circumstances, a flexible leave program could allow a worker on leave to be paid for assisting coworkers via phone. Or it might allow for other informal arrangements to be made so that those who need leave can support co-workers – if they choose. Paid leave is important for workers and working families, we should just be careful about chasing after one-size-fits-all mandates that are costly to employers and remove the flexibility for workers to negotiate what they want – including more money instead of time off – and for employers to design leave packages that their employees want.